A Guitar Licks Goldmine awaits in this incredible acoustic collection! With four hours of content, this DVD is jam-packed with lead lines, phrases, and riffs personally taught to you by professional guitarists Matthew Schroeder, Ben Woolman, Peter Roller, and Colin O’Brien. Each and every authentic lick includes a walk-through explanation by a pro guitarist and note-for-note on-screen tablature. Normal and slow-speed performance demos are included to really help viewers master the licks. 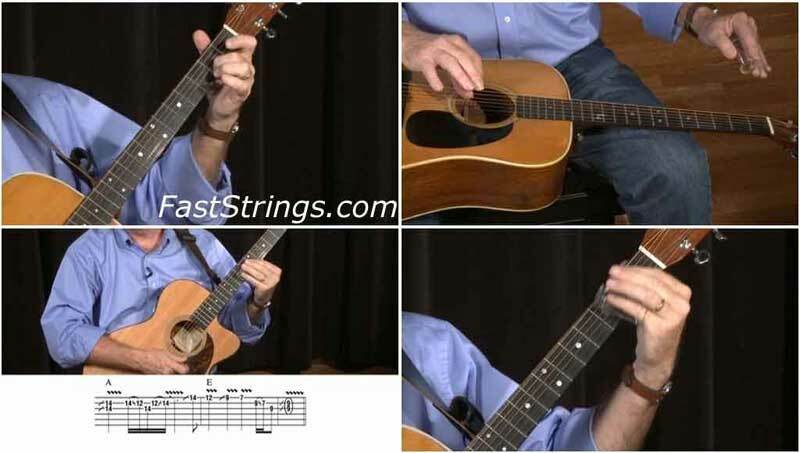 Great variety of lick styles for the acoustic guitar. Including percussion and other effect styles. Great blues and bluegrass licks also. Yes, only a few might be handy if you’re into a a particular style or have preferred tunings, but if only 20 are valuable, that’s twenty tunes that can be improved or embellished to make them more interesting in your repertoire and with imagination many more by transferring or making variations on them in the repertoire you have. For a young player, who may develop and delve into different styles and tunings as they mature, it’s a valuable resource to tap to dip into for years to come. However, if the tunes were organized into key categories and a tab PDF file on the DVD was available this music resource could have been considerably improved in order to much more easily access the licks away from the computer screen.